Now the entire news cycle will be about how Nancy couldnt focus on Americans during the shutdown. You think when the president acts like a child it's a good thing? 4g chess move? HAHAHA. You folks give him way to much credit. Trump can't even play Go Fish or Chutes and Ladders. He damn sure isn't playing any type of chess. It's debatable whether he can read. This is no joke. Pompeo got to where he is at by bringing charts and drawings to the debriefings to ingratiate himself to him, because he refused to read anything. yup gave away classified information to score political points. How does YOUR life stack up ? Pass me some more of that orange Kool-Aid. We have a few more details on the flight. Egypt wasnt a part of it. They were to fly to Belgium, stop in Belgium for required pilot rest, while in Belgium they were to meet with NATO officials. After leaving Belgium they were to fly to Afghanistan to meet with troops and officials on the ground to learn about what is happening there. As our officials should be doing in a wartime scenario. 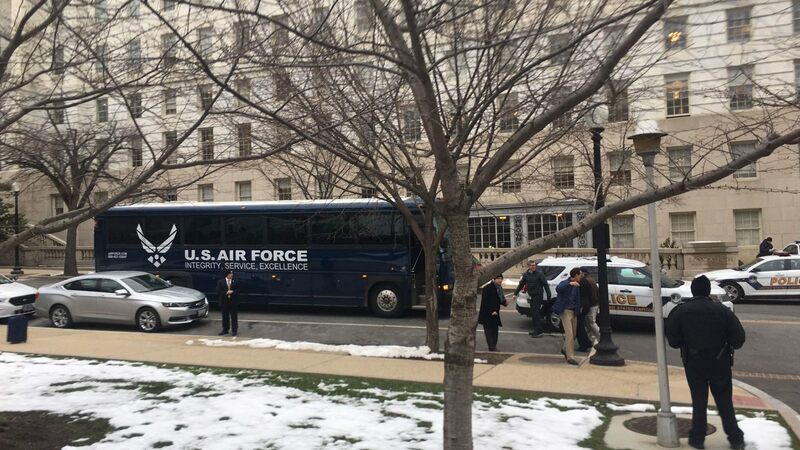 Considering they were on an Air Force bus awaiting a trip to the plane, it would be wrong to think like that.